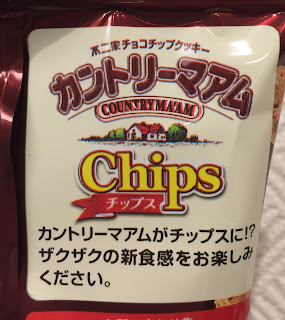 My husband found Country Ma'am Chips. 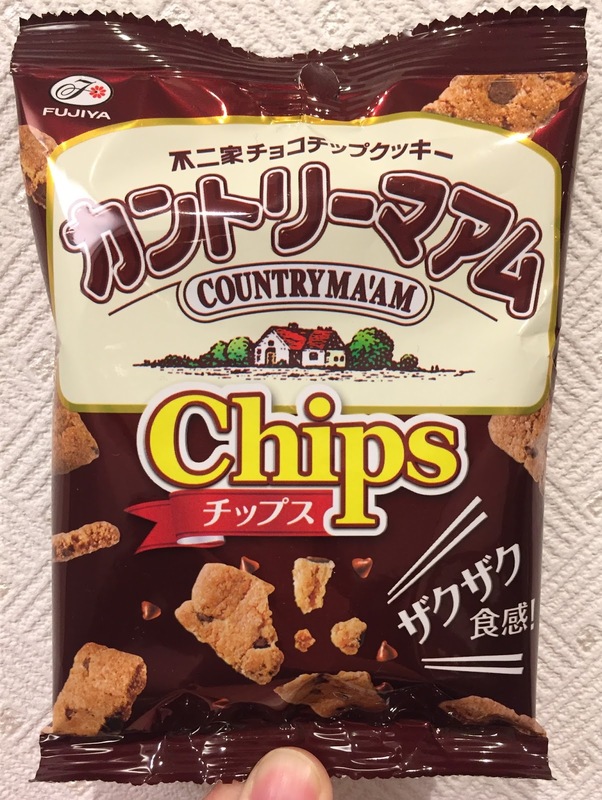 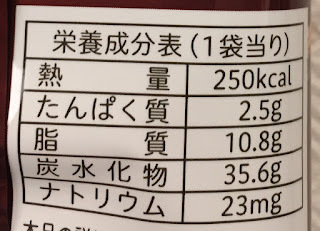 Country Ma'am is a famous cookie brand by Fujiya and this is the thinner and crunchier version. 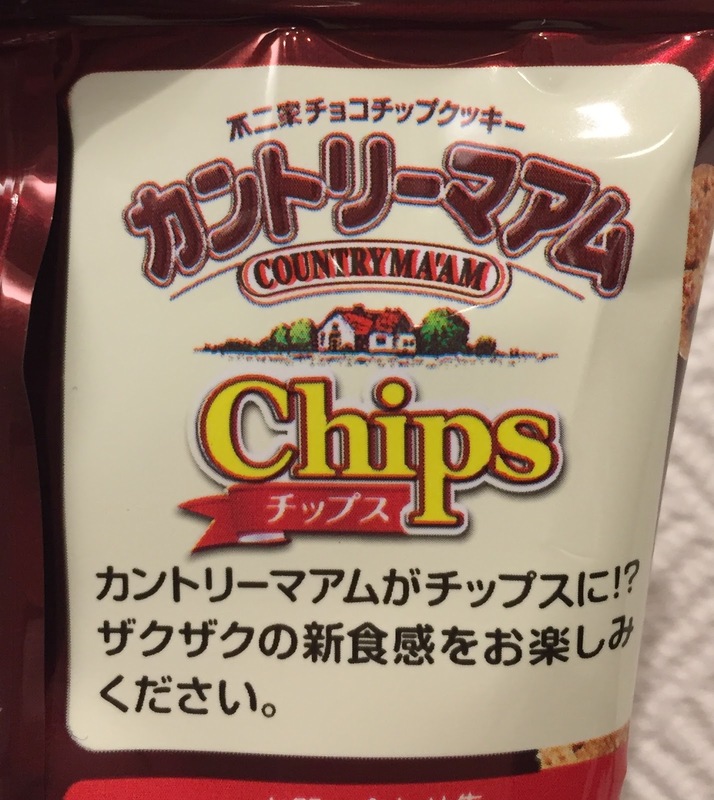 "Country Ma'am became chips!? 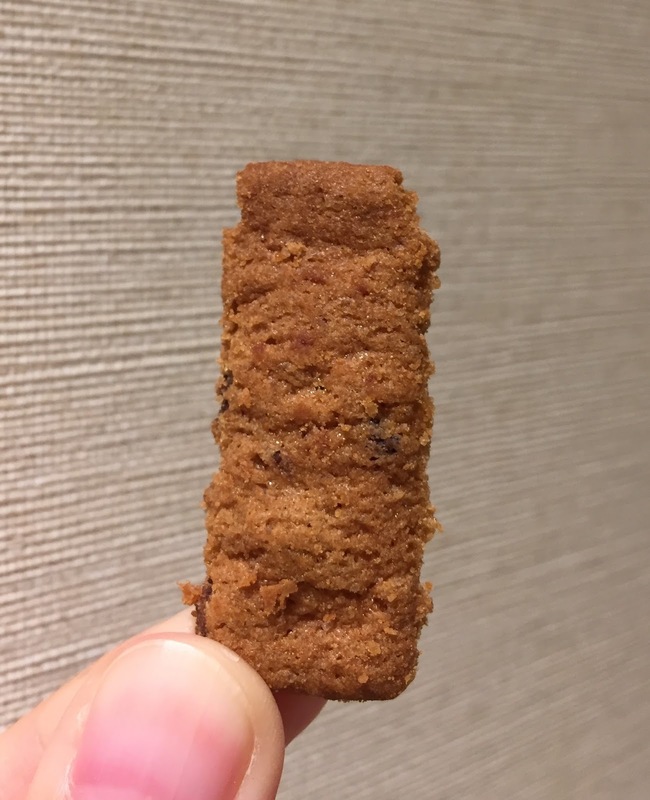 Please enjoy the new crunchy texture." 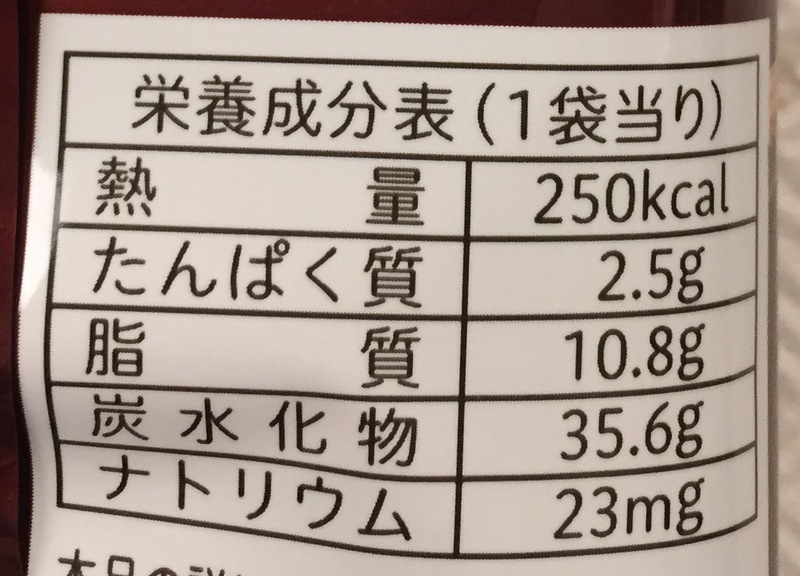 The scent was the same as ordinary Country Ma'am cookies. 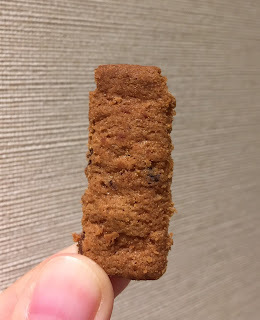 But each piece was cut into rectangle, like Post-It notes. 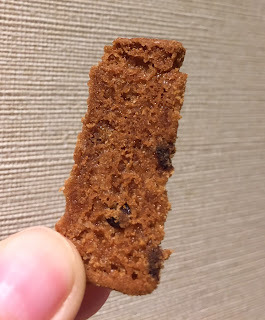 There're little chocolate chips in the chocolate cookie dough. 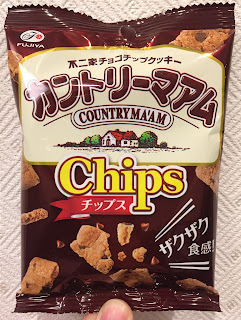 The flavor and scent were both exactly the same as Country Ma'am that I'm used to, but the texture was totally different and these chips were crunchy and crispy while the original cookies are soft and moist. 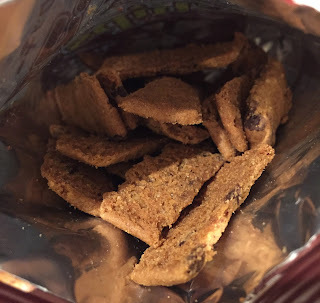 They had more bite than I thought, and the mini bag was a perfect size for when I need a little snack. 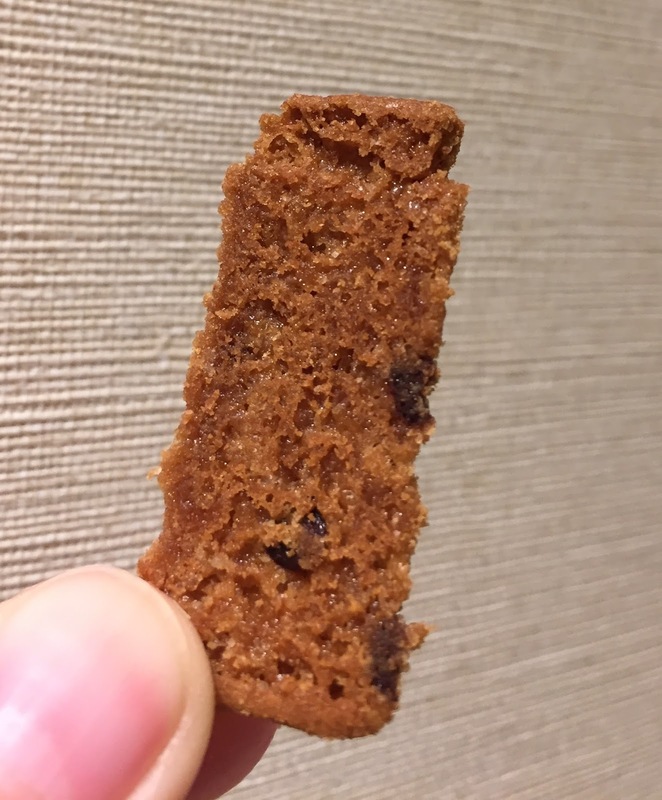 Country Ma'am Petit Sumptuous Choco "Bitter Latte"